to make sure that that services are delivered within budget and meet national policies and frameworks. Read the full job description (PDF, 158.0 KB). 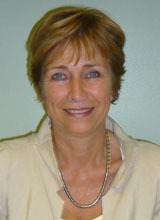 Anne qualified as a Social Worker in Holland and started working for Kent County Council in 1990. She has worked on the front-line as a care manager and had several management roles in numerous settings before the many years experience she's had as a Director in Adult Social Care for many years. In 2009 Anne was appointed as Associate Director Strategic Integrated Commissioning, a joint appointment for 2 years between NHS Eastern Coastal Kent and Kent Adult Social Services and Kent Adult Social Services, with health and social care commissioners and providers to develop integrated services. end of life care, equipment and assistive technologies, equalities, sensory services and autistic spectrum conditions. Anne has been leading for adult social care on international collaboration and has managed several European Interreg projects such as CASA , Buurtzorg (TICC) and joint working agreements with Scotland, South Denmark, the Netherlands and Sweden. Anne's expenses for the past financial year are £2,962.18. Public appointments: Parent Governor of Brockhill Park Performing Arts College, Saltwood, Hythe and Chair of Curriculum Committee. Membership: Health and Care Professions Council and Chartered Management Institute.